The chairman of one of the most powerful and respected organizations in the world, The Federal Reserve of the United States gave a testimony before the House Financial Services Committee, where he addressed the issue of cryptocurrencies. The opinions of the leader of the Federal Reserve, which is responsible for the monetary policy of the United States and largely affects the global economic climate, are followed very closely by many investors. These opinions are the ones that will likely shape the policies that are to follow, so they could be taken as a preview of the future regulatory climate. 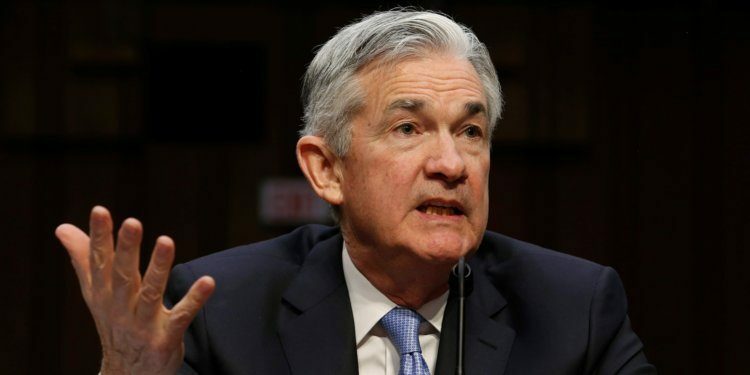 Jerome Powell, who was appointed as the chairman of the Federal Reserve in February by President Donald Trump, did not hold back in his criticisms of the new technology. Fed chairman emphasized the appeal of cryptocurrencies for money laundering. “Cryptocurrencies are great if you’re trying to hide money or if you’re trying to launder money. It doesn’t really have any intrinsic value so I think there’re investor or consumer protection issues as well,” – Chairman Powell commented. This issue has been raised multiple times before. Although cryptocurrencies such as Bitcoin don’t allow fully anonymous transactions, transfers made using these digital coins are much harder to trace and require more resources. So, unless very large sums of money are concerned and there is a clear need for it, regulators will not be willing to spend the resources that are required to find out the sources of the transactions. Naturally, this makes the new technology perfect for people who are trying to launder money without leaving any trace. In the traditional banking system, there are procedures in place to prevent money laundering. In the unregulated cryptocurrency market, no due processes exist. Fed chairman also emphasized that the sole appeal of the cryptocurrencies has been the increasing prices, which attracted a lot of new investors. In his opinion, these investments are purely speculative and do not lend any legitimacy to the new technology. “If you think about what currencies do, they’re supposed to be a means of payment and a store of value, basically. And cryptocurrencies…they’re not really used very much in payment. Typically people sell their cryptocurrencies and then pay in dollars. In terms of a store of value, you know, look at the volatility and…it’s just not there,” – was Chairman Powell’s answer to the question whether these digital coins constituted currencies or not. This question has been raised multiple times around the world. Only a handful of countries have answered it for regulatory purposes, some declaring that cryptocurrencies are assets and others treating them as currencies. Judging by the comments of the Fed chairman, it is not likely that the latter will be the case for the United States. Jerome Powell discusses the regulations of cryptocurrencies and the involvement of the Federal Reserve. Chairman Powell also commented on the regulations in the United States and emphasized the lack of countrywide effort. Currently, the responsibility for oversight of companies involved with cryptocurrencies falls on states. “There’s some broad framework of it but not a concerted effort by the federal government to understand what’s happening in cryptocurrency,” – Fed’s chairman commented. In addition, he clarified that the Federal Reserve is not considering issuing its own cryptocurrency and commented: “we’re not looking at this at the Fed as something that we should be doing”. Fed’s approach differs radically from some of the other central banks, such as Bank of Canada and the Monetary Authority of Singapore who have started working on projects that will employ the blockchain technology in order to facilitate the wholesale interbank payments settlement. These countries saw the potential of the new technology and its benefits of speed, efficiency, and transparency. In addition, there are other countries that are actively researching cryptocurrencies and launching related projects. The United States up to now has taken a very strict approach towards the new market, making it virtually impossible to launch ICOs in the country. While this might be a wise decision considering the number of fraudulent projects being marketed as ICOs and the low rate of success of such endeavors, it should not become the reason to disregard the technology completely. Fed’s comments could affect the cryptocurrencies. With the stagnating cryptocurrency prices, it seems like buyers are looking for any sign of the similar growth patterns we saw a year ago. They are also careful with their holdings as they saw the value of their coins depreciate significantly in a matter of few months. Consequently, every new piece of information has some effect on the cryptocurrency prices. Recently, after a news started to circulate about the world’s largest asset management company BlackRock, setting up a working group to explore the cryptocurrencies, the price of some of the major digital coins increased over 5%. It is yet unclear what effect the Fed’s chairman’s comments will have on the prices. As of Jul 19, there is a visible decline in prices in most of the major cryptocurrencies. The Federal Reserve is one of the most influential organizations that has the power to affect the global economic climate. Although it should not come as a surprise that the Fed is not very excited about the new technology and finds it to be disruptive to the economy, the news could have been disappointing for many and could cause a sell-off driven by fear. We can only wait and see if there is a reason to be genuinely concerned about this issue.